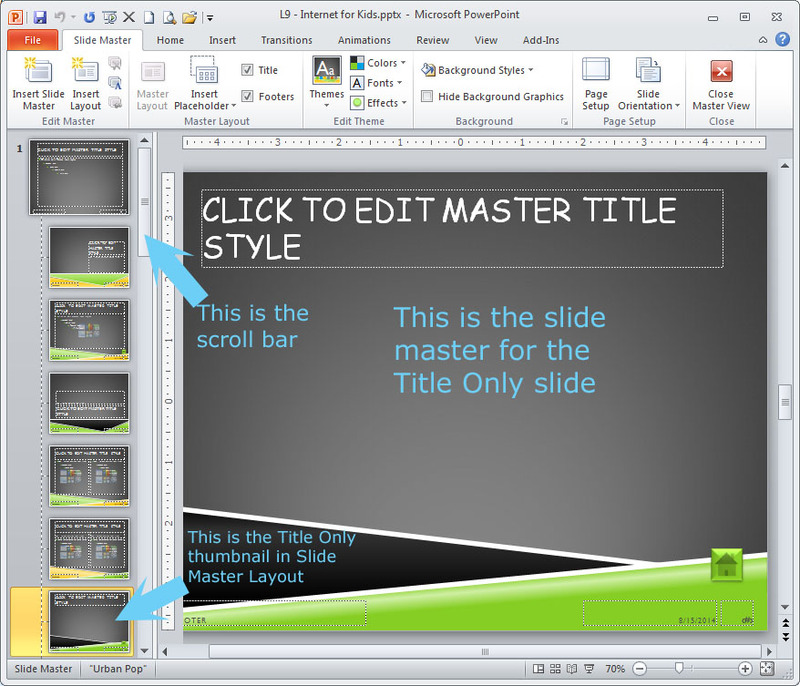 If you’d like to draw on a slide during a slide show in PowerPoint 2010 or 2007, find the icons along the bottom left side of the slide during the slide show and click the Pen icon. Move your mouse to Pen and click once to switch from the mouse pointer to a pen. If you want to advance to the next slide with your mouse, you’ll need to turn off the Pen by repeating the above steps. 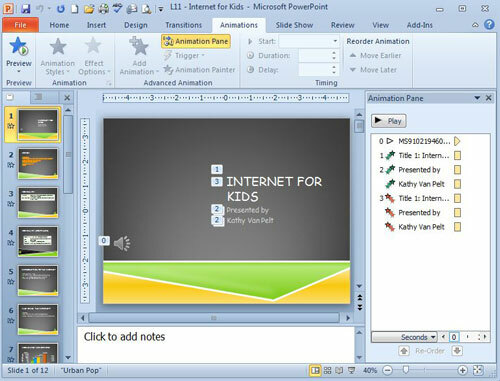 This is an example of a PowerPoint 2010 slide with a sound clip and entrance and exit animations. The numbers on the slide correspond with the numbers in the Animation Pane. The green icons are entrance animation icons and the red icons are exit animation icons. From my PowerPoint 2010 online class.